Award-winning teahouse prepares to open second DC location with large outdoor patio. 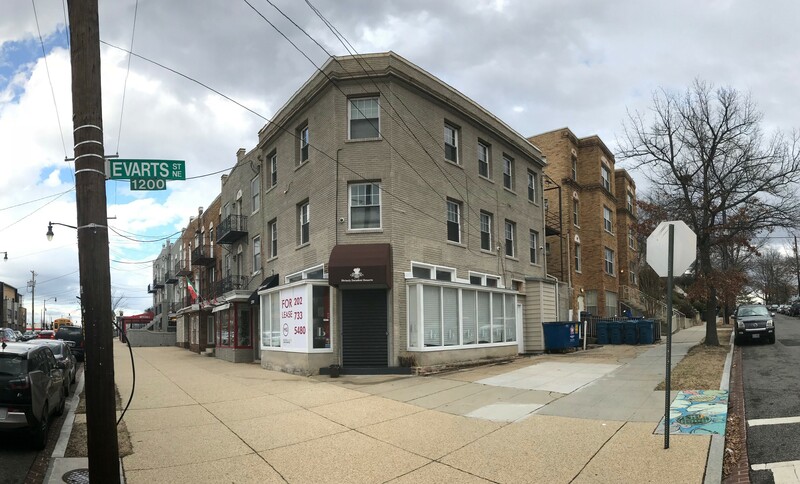 WASHINGTON, D.C., February 9, 2018 — The Menkiti Group’s commercial division, MG Commercial announces the recent signing of Calabash Tea & Tonic, an award-winning teahouse based in Washington, DC, to its property at 2701 12th Street, NE, in the heart of the Brookland neighborhood. The 900 square foot location will be the second for Calabash and will feature a large outdoor patio with medicinal plants and culinary herbs and is slated to open later this spring. Proposed streetscape and outdoor patio for Calabash’s Brookland location. 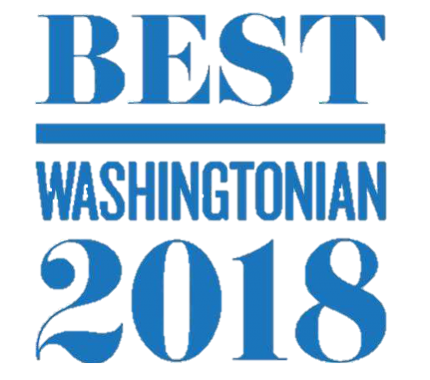 The first Calabash location in Shaw has been voted “Best Tea” five years in a row by the Washington City Paper, and the Brookland location will feature over 50 organic tea blends based on founder Dr. Sunyatta Amen’s Cuban-Jamaican great-grandmother’s time-tested formulas. The teahouse will also serve direct trade pour-over coffees, vegetarian food selections, and will host community meetups and wellness-focused events. “We are very pleased to include Calabash Tea & Tonic as one of our neighborhood-serving retail tenants in a space that is very special to us and to the Brookland community,” said Bo Menkiti, CEO and Founder of The Menkiti Group. Existing 2701 12th St NE location. owned by The Menkiti Group. The high-visibility site (left) once housed Menkiti headquarters and is ideally suited for activation with retail and community engagement offerings. 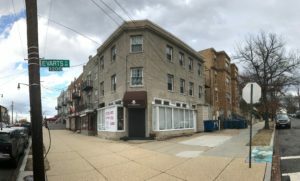 The same block includes MG Commercial tenant Italian deli Salumeria 2703 (2703 12th St. NE). Rob Foa represented MG Commercial in the transaction. This location will also allow Calabash to expand its rapidly growing wholesale business, which currently serves Shop Made In DC, Baked & Wired, WeWork D.C., Cove, and Culture Coffee businesses in the area, among others. The new jobs created in Brookland will allow Calabash to continue its commitment to hiring single mothers, veterans and returning citizens. 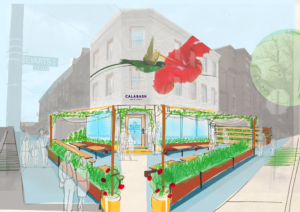 “This concept is just what the neighborhood needs, and we recognize the deeper impact that Calabash can make with hiring from the community, and be supporting ongoing engagement and activity there, too. We strongly support any businesses that operate from a similar perspective,” said Menkiti. For information on MG Commercial leasing opportunities, contact Rob Foa. To learn more about The Menkiti Group, visit MenkitiGroup.com and follow on LinkedIn, Facebook, and Instagram.